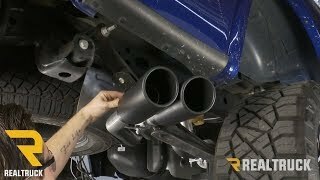 Changing out your exhaust is a great way to improve the performance of your vehicle, and get a look and sound that will make your ride turn heads on the road. 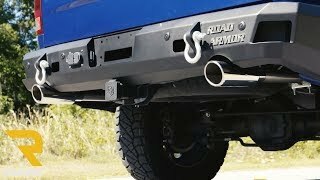 Of all the companies that produce exhaust systems, Gibson exhaust systems offers the widest selection of SUV and truck exhaust styles. 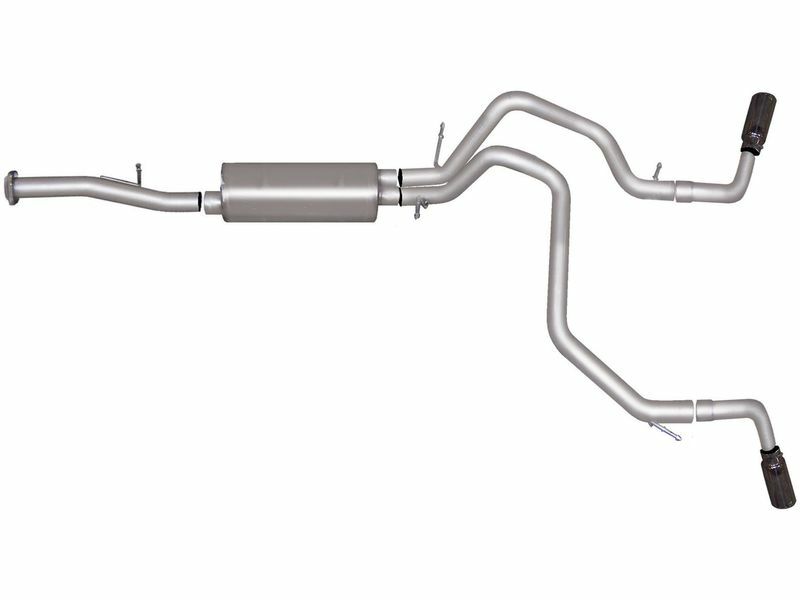 You get to choose from 5 different Gibson exhaust exit styles which are available in aluminized and T-409 stainless steel. 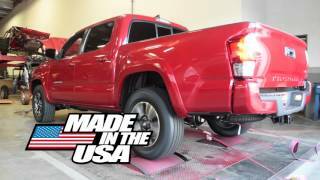 The tubing is mandrel bent for optimal flow, and Gibson tests all of their SUV and truck exhaust systems to decrease backpressure while giving you the horsepower and torque gains that you are looking for in a performance exhaust kit. 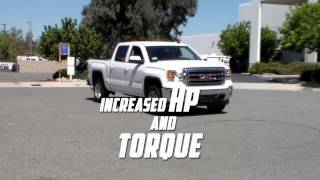 Gibson systems not only provide more power and torque, but will increase fuel economy, unless you rod on the gas pedal to hear that amazing growl. All Gibson exhausts are street-legal in 50 states, backed by a limited lifetime warranty, and will not void your factory warranty. Each kit is designed with a simple bolt-on installation to make things easy for you. Gibson exhausts are available for a huge selection of vans, sport utility vehicles and pickup trucks. 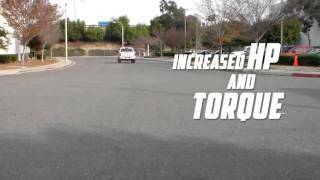 Give your ride the performance edge and upgrade to a Gibson exhaust system today and experience for yourself the increase in power and torque without spending any more money at the pump! Gibson performance offers a limited lifetime warranty on all of their exhaust systems. This warranty does not cover corrosion, discoloration, internal rust, surface rust, or rust-through. ONLY STAINLESS STEEL PRODUCTS are warranted for rust-through. Cost of labor incurred to install or remove the product. Additional parts required to complete installation, shipping charges, loss of use of vehicle, car rentals, towing and other expenses. Damage to chrome plating, peeling, gaskets, burnout, cracking, cosmetic appearance, paint and parts blown out by “back fire”. 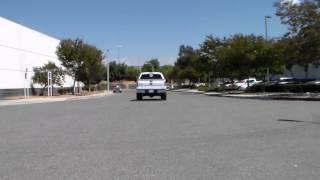 Customer’s individual sound preference or mufflers meeting the specific sound ordinance in any city, county or state. Inconveniences or consequential damages occasioned by failure of the product, or expressed or implied warranty with respect to this product other than as set forth herein. If you believe you have a defective part contact RealTruck.com’s Customer Service Department for a Return Authorization Number at (877) 216-5446. The original product must be returned to the factory, freight pre-paid with a copy of your original sales receipt and a description of the problem. 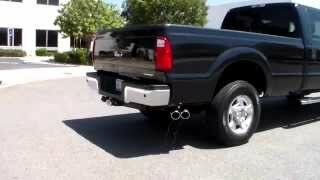 Gibson exhaust systems are designed to provide the best possible fit. 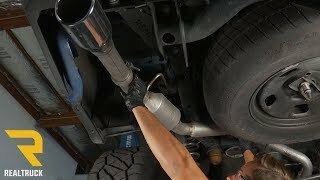 Most of these exhaust kits will be an easy bolt-on installation. For additional information see the install instruction samples below or you can always give us a call at 1-877-216-5446 or 701-253-5906.